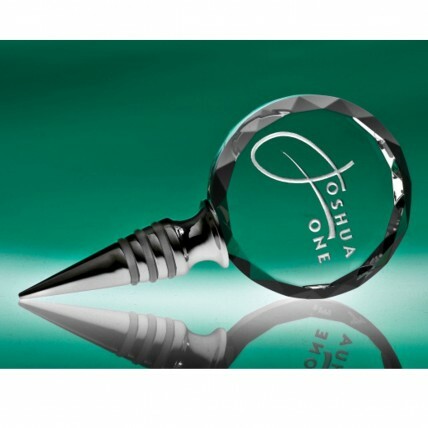 Give a functional gift that's sure to impress, our Premium Engraved Wine Stopper! Engrave initials or a logo onto this beautiful, crystal clear glass wine stopper. Engraving is included in the price. Measures 5" x 2.5". Production time for this product is 9 business day(s); expected pickup or shipping date is 05-03-2019.